As a student assistant in Special Collections and Archives, I spend many hours a week scanning correspondence between architect Julia Morgan and client William Randolph Hearst, who wrote approximately 3,700 letters, telegrams, and drawings to each other between 1919 and 1945. I am currently piggybacking on the digitization work done by my student assistant predecessors, which dropped me in the year 1932. 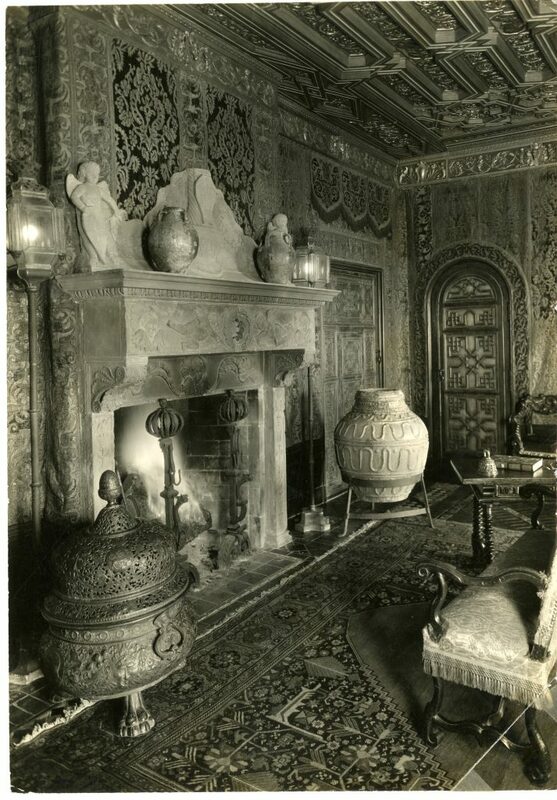 I am not sure if 1932 is pivotal in regards to the development of Hearst Castle, because it’s hard to clearly see larger context when everything I read is on a much smaller scale, but I do know that some important things happened in 1932. During this year the Celestial Suite was built, the Great Hall was planned, finances were tighter than expected, Morgan became ill, and tons of smaller things happened as well. These smaller thingsare not anecdotes that you could find on Wikipedia or hear from a docent at Hearst Castle – they are minute struggles that make the larger-than-life Castle much more human. Sitting and reading these letters feels like thumbing through a diary that belonged to the creator of Stonehenge. Not only do I get to feel how difficult it was to move those massive rocks, but I also get to experience and learn from all the inconvenience surrounding the endeavor. Like most people, I know lots of things that are entirely useless – things that never come up in conversation, things I rarely revisit on my own, things that probably won’t be applicable in my future, etc. Unlike most people, the crowning jewel of my seldom-used knowledge is a portion of a decades long conversation about a newspaper mogul’s castle. I have yet to reference this information in any conversations outside of my part-time archives job, and I do not think I will in the future. However, I happily scan documents for ten hours a week and file anything interesting into my brain-folder titled, “Everything Great Took Time.” This brain-folder is full of reminders that nothing fantastic happened overnight, and that every fantastic person also had bad days. My ten hours a week is spent humanizing the godly Hearst Castle, and in a larger sense, reminding myself that I can still accomplish things in life even though I lost the election for Class President in eighth grade. 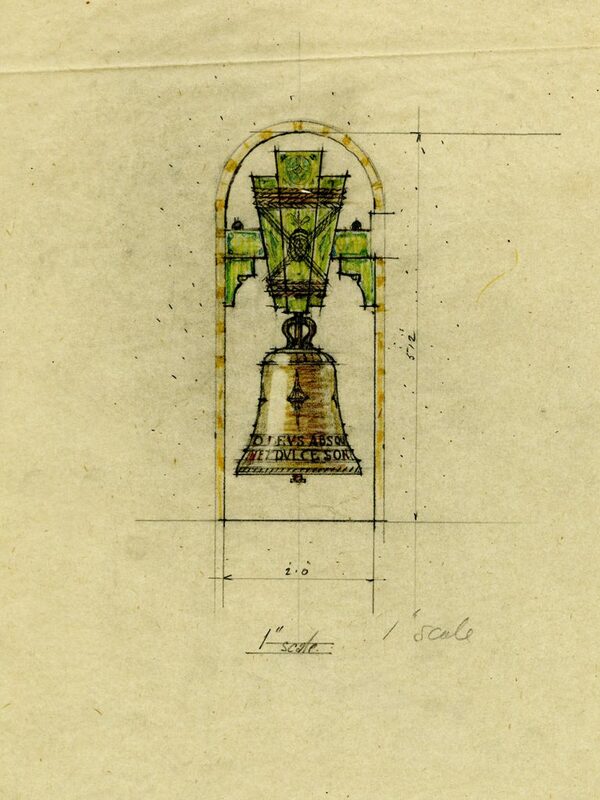 Here are some of the smaller things I found, and filed into my brain-folder, during my scanning endeavors: A Chimes Master (surprisingly, a real profession) visited the castle in May of 1932 to tune the bells and offer tips on how to make the sounds of the bell tower’s machinery less noticeable from the Plaza. This is a reminder that asking for help is sometimes the best or only way to proceed. This visit took place in the middle of a disagreement between Hearst and Morgan about the width of the Great Hall. On one side of the argument, Hearst proposed a forty foot room to house the twenty foot wide “Sovereignceil” that was to be the centerpiece of the room. On the other side, Morgan wanted a smaller room – one that fit the “Sovereignceil” but nothing more (don’t worry, she said, “the interruption at the center would make it seem wider”), in order to preserve the lives of some large oak trees. They decided on a thirty foot room, and probably killed some oaks for the compromise. This struck me as a lesson about sacrifice in order to preserve valuable relationships. 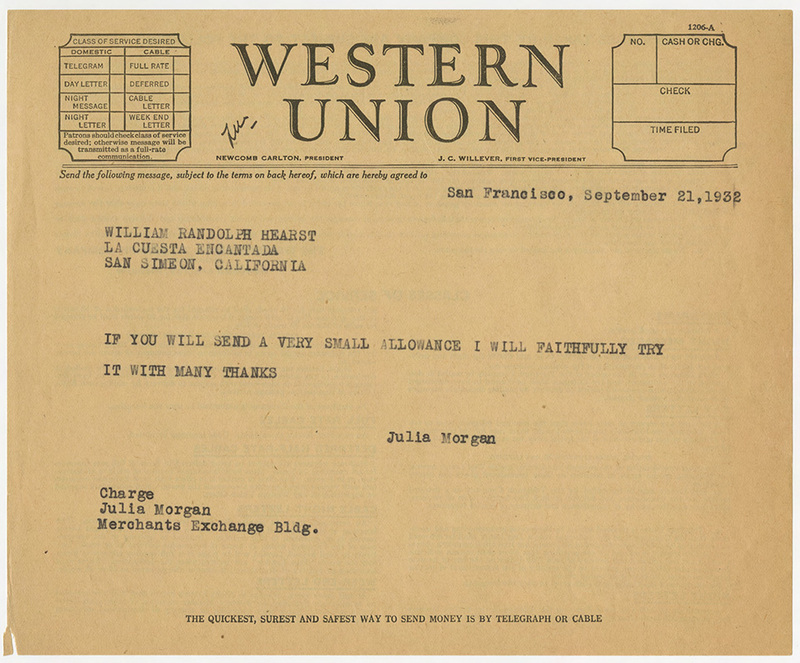 Morgan’s final draft of her reply to Hearst.Box 57 Folder 2, Julia Morgan Papers, Special Collections and Archives, http://digital.lib.calpoly.edu/rekl-85453. These documents remind me that you can be a world famous architect and still make a bad joke (a more specific lesson, but probably still useful to someone reading this). 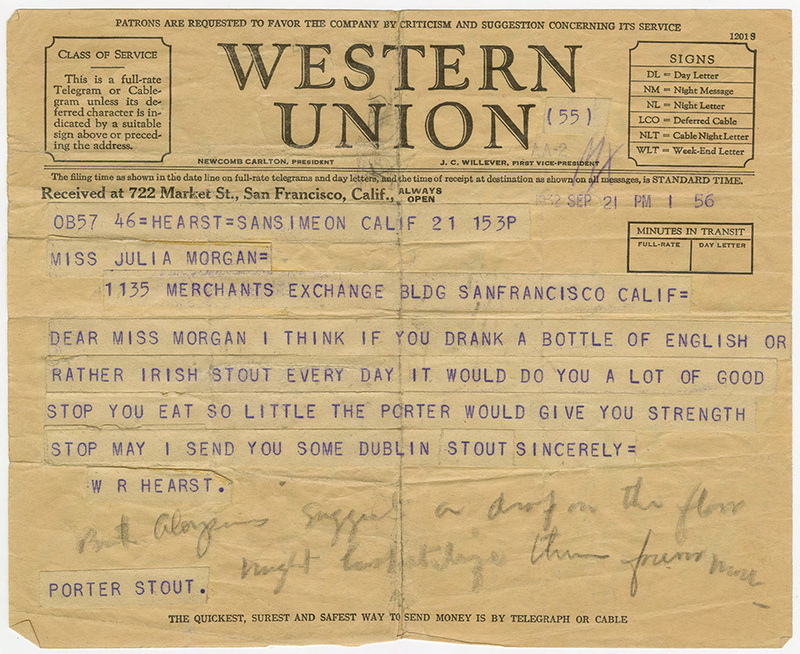 Before going back to scanning, I’d like to leave my first blog post with a call to action: if you’re feeling like the road you’re on is too loopy to lead somewhere great, read some smaller things in the digitized correspondence between Hearst and Morgan. You might be able to extrapolate some fortune-cookie lessons if you don’t get too caught up trying to decipher handwriting. Check out the digitized collection by following this link, or come see the Morgan Papers in person by setting up an appointment with Special Collections and Archives on the fourth floor of Kennedy Library. I will continue to find interesting smaller things to share via future blog posts, so check back for some more life lessons. 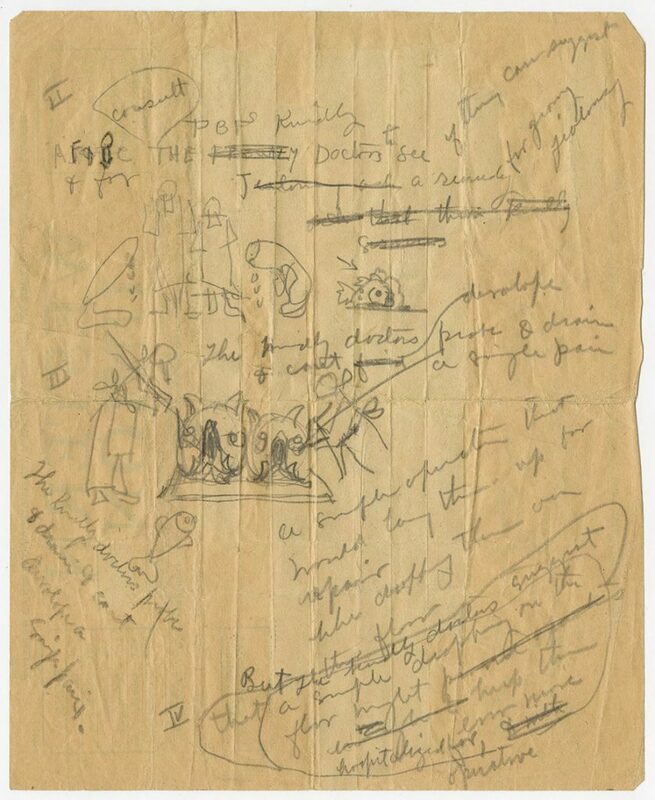 Read more on Architecture Archives, Islandora, Julia Morgan, Julia Morgan Papers, Morgan-Hearst Correspondence Project, special collections and archives, and Women's History Month.